Ross is a graduate of the U.S. Naval Academy Class of 2017 and is a commissioned officer in the U.S. Marine Corps. He was raised in the small town of Silsbee, Texas. He earned his B.S. in History at USNA and and is now completing his Masters in Global Affairs with a concentration in Economics and Business at the Schwarzman Scholars program in Beijing, China. 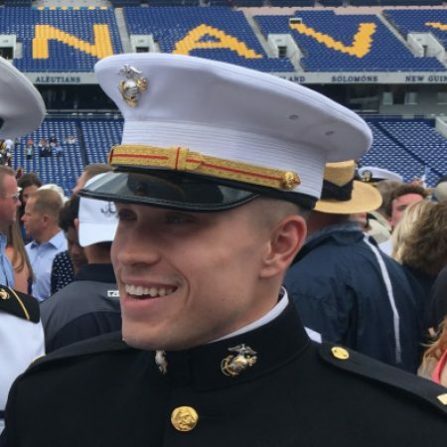 2ndLt Gilchriest believes that pursuing education and seeking challenging opportunities are fundamental to living a fulfilled and meaningful life. He hopes that by devoting a portion of his time, he may help others realize their potential and devote themselves to living a life of purpose.